This report from the Pacific herring Fishery Management Plan (FMP) peer review panel contains recommendations and scientific guidance to the California Department of Fish and Wildlife based on the panel’s scientific and technical review of the draft FMP. 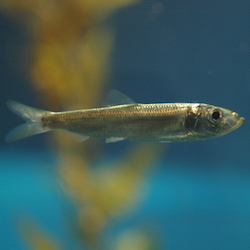 Pacific herring, a schooling fish species found throughout California, play an important role in the marine ecosystem and support important commercial and recreational fisheries in state waters. Concerns about changing ocean conditions, sea-level rise, loss of spawning habitat and more have prompted the need for a Pacific herring fishery management plan (FMP) to inform decisions on the future of the herring fishery in accordance with the Marine Life Management Act. California Ocean Science Trust is serving the State by convening an independent scientific review that will focus on reviewing key components of the FMP. CDFW is seeking an independent assessment of whether the available data and predictive model that underpin the proposed FMP management strategy are applied in a manner that is scientifically sound, reasonable, and appropriate. Ocean Science Trust worked closely with CDFW to develop a terms of reference that captures the scope and process of the review, focused on key components of the FMP where independent scientific review would be most valuable. Assemble review team. Ocean Science Trust will convene a diverse 3-4 member review panel composed of Ocean Protection Council Science Advisory Team member(s) and other experts. Conduct review. CDFW will engage directly with reviewers at the outset, providing two-way interaction. The review will then proceed via a series of webinars and written comments, maintaining candid and independent assessment. Develop and share final report. Reviewers will contribute to the development of a final summary report, which will be made available online. Stakeholder Webinar to Share Peer Review Results. A public webinar will be held at the close of the review to share results of the peer review. A subset of the peer review panel will present on their findings and be available to answer questions. Webinar Date: October 9, 1:00 – 2:00pm (PDT).